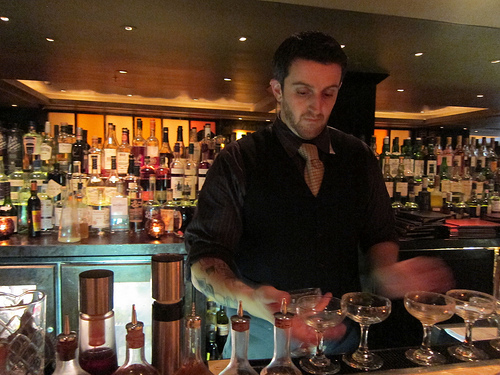 The last time I caught up with bar manager Brian Means, he was at Zero Zero and in the last year, I’ve watch him tweet about drinks at his new bar, Fifth Floor. I’ve read much about his cocktails. Considering it was a five minute walk from my hotel, it was natural to check the drinks before heading out to a fabulous dinner at Aziza. I’d been to Fifth Floor before and thought I’d like to come back to try the food. I still need to come back to try the food. Good thing I’m heading out to SF next week. 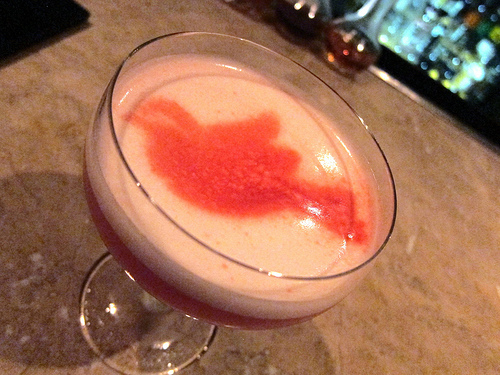 When Alcademics posted the Sparrows in the City drink back in March, I had an instant craving. I love pisco sours and this one with Oro Torontel pisco, applejack, lemon, egg white, grenadine plus a stenciled sparrow using atomized bitters was very eye-catching. After I tasted it, I did think it was a bit heavy on the Angostura so I actually would suggest Brian get a stencil that is more of an outline. And I do love Angostura but it overwhelmed the delicate pisco a bit. 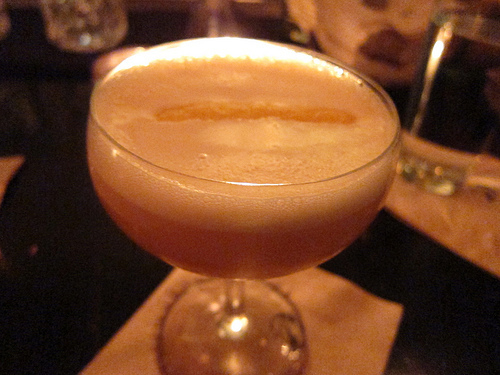 My friend had the Boston Tea Party (Greylock gin, lemon cordial, rooibos and chai tea). I picked it out for her knowing her love of gin and tea. She enjoyed this cocktail very much. I had time for one more drink and I went with my usual brown, bitter, stirred type drink. 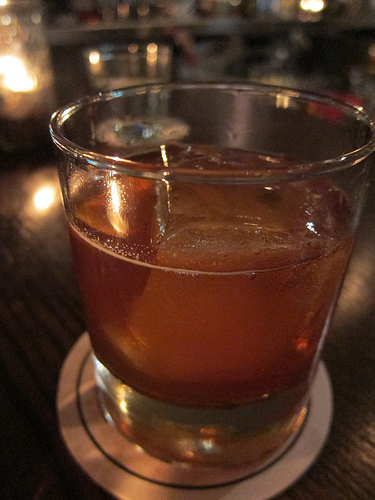 The Jewish Mother (Bulleit rye, Navarro Vineyards Pinot Noir juice, Cio Ciaro, black walnut bitters). 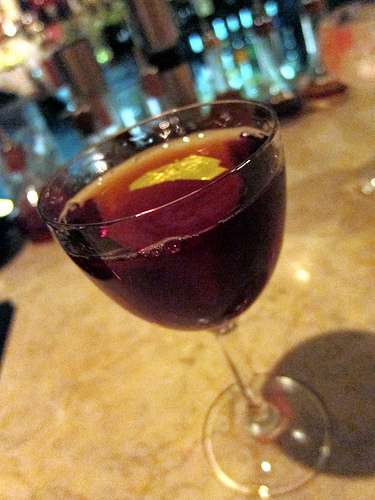 The Manhattan-style drink was then garnished with a gold leaf. Fifth Floor was super busy that evening as it was one of the final nights before the foie gras ban took effect in California and they were selling their foie gras cocktail like crazy. I didn’t have a chance to talk to Brian about the Pinot Noir juice but I would imagine it replaces the vermouth normally in these specs. I’ll be back and hopefully they will still have the Hops & Dreams on the menu. 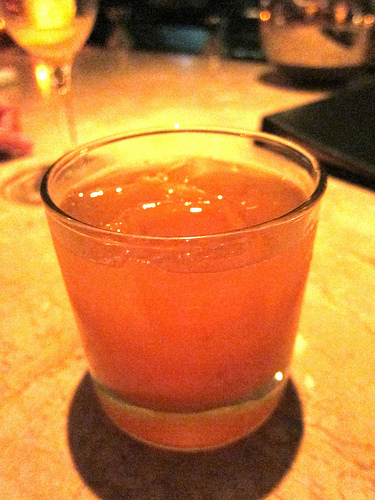 The drink has Templeton rye, Anchor Steam syrup, Maurin Quina, lemon and Angostura bitters. It sounds great as does The Sun Also Rises (House Spirits white whiskey, black tea infused Dolin vermouth, grapefruit, peach bitters). 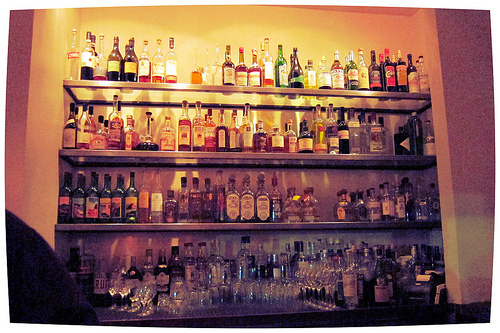 Beretta is one of my favorite craft cocktail bars in SF. We stopped in after dinner at Mr. Pollo. I met Enrique there whom I remembered I saw compete at the Mix It Up competition during the Nightclub & Bar convention back in March. He said Beretta was competing in the Bar Brawl at this year’s Tales of the Cocktail. And they won! Congratulations, Beretta! Miss Carina had her favorite Lonsdale (gin, apple, lemon, honey, basil) while I went with my “usual” Rattlesnake (rye, lemon, maple, bitters, egg white). 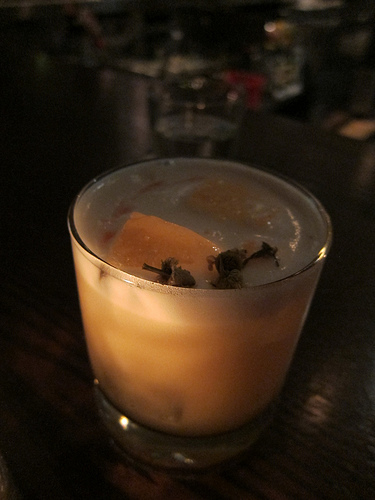 I really like this whiskey sour variation. I wonder if there’s time to visit Beretta next week? We were staying at the Serrano Hotel and Jasper’s was the hotel bar. I visited a few times during my stay and made my acquaintance with Allison who is from Portland. I never made it to her bar Irving Street Kitchen the times I was in PDX but now I can just visit her in SF. She most recently bartended at Hotsy Totsy Club and Bourbon & Branch. After a couple of heavy hitters at Rio Grande, I wanted something citrusy. I settled on the Rhubarb Mule (Wild Turkey 81 bourbon, orgeat, rhubarb syrup, lime, ginger ale, Angostura bitters). It was a perfect pick-me-up. On another night, I had a sip of the Governor which was a pretty and delicate looking cocktail with real chamomile flowers. 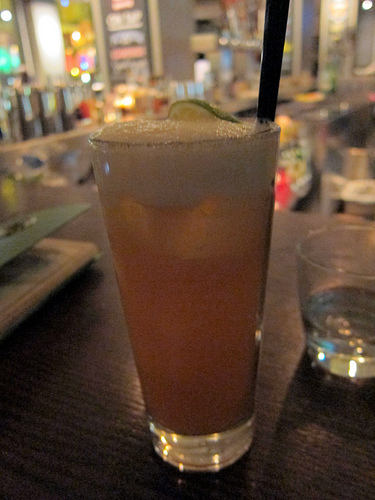 The drink features Black Bottle whiskey, Yellow Chartreuse, chamomile honey, lemon, egg white and Peychaud’s bitters. 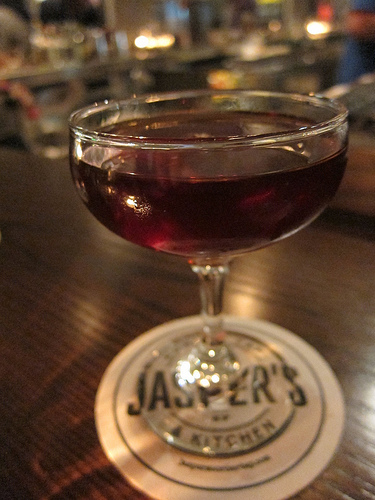 Jasper’s was one of the first bars to put cocktails on tap. 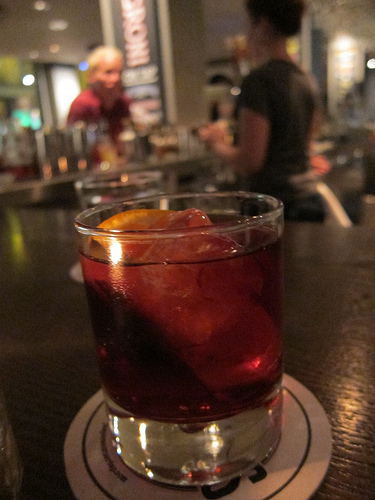 I had their famous Negroni on tap which I enjoyed but I really dug the Hanky Panky on tap. They’re both favorites of mine though. As I left my friend in charge of our seats, I told her to order a cocktail for me with whiskey or perhaps the Western Addition. 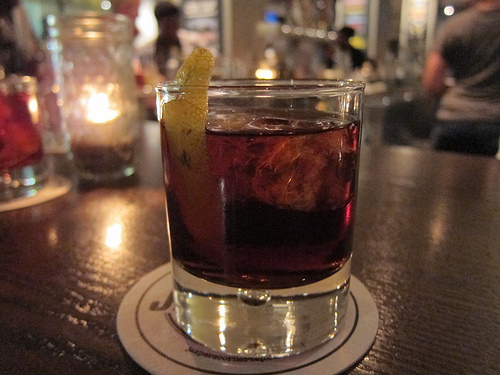 More specifically, I said “something like the Western Addition.” I was secretly glad to have gotten the Western Addition instead of a bartender’s choice as this combo of Rittenhouse rye, Barcadi rum, Dubonet Rouge, Benedictine, The Bitter Truth chocolate mole bitters was fantastic. Allison was working on the next cocktails list with bar manager Kevin and gave me her beer old fashioned to try. Quite a few beer cocktails I have tried tend to be light and frothy but this didn’t seem like a summery drink. With bourbon, Cio Ciaro, Drake’s Denogganizer IPA and two kinds of bitters- Angostura and special batch of Rocky’s bitters, I really enjoyed the hell out of this drink. I almost wondered if the beer had been reduced to a syrup? Time to go back to find out! This entry was posted in alcohol education, alcohol tasting, bar crawl, bar stalker, bar stories, bars, bartenders, cocktails, history, hot bartenders, spirits, the minty, travel and tagged allison webber, bar brawl, bar crawl, bar hopping, barhopping, bars, beretta, brian means, cocktails on tap, enrique sanchez, fifth floor, hot bartenders, jasper's, jasper's corner tap, on tap, san francisco, sf, tales of the cocktail, tap, the minty, totc, travel. Bookmark the permalink. 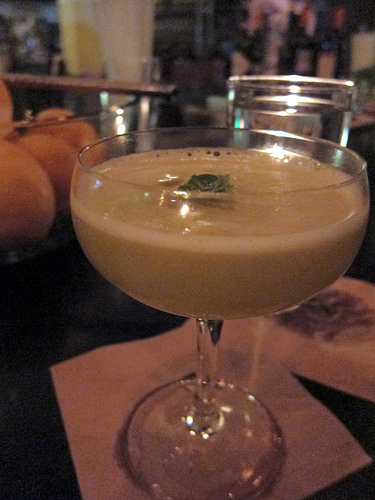 FWIW try Bar Agricole next time you ar eint own…good place.. Thank you! I actually have been to Bar Argicole. It was when they first opened so I need to go back. It’s just so hard to go to old favorites while trying to get to the new hotspots! I hope to go to AQ on my next trip.